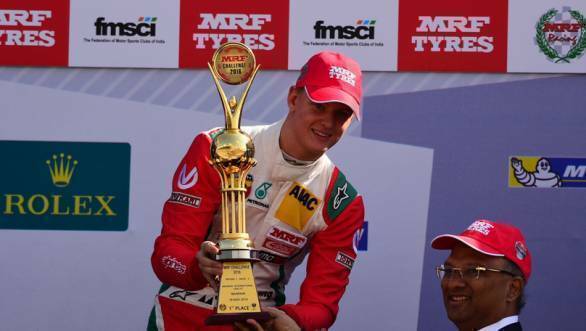 Mick Schumacher, son of seven-time Formula 1 champion Michael Schumacher, is set to make his Formula 1 debut at the young drivers test that will be held at the Bahrain International Circuit, soon after the 2019 Bahrain Grand Prix. While the official announcement is yet to be made, German motorsport website Auto Bild Motorsport has reported that Schumacher will participate in the test session with the Alfa Romeo team. Schumacher, who will be in Bahrain for the season-opening F2 race, will take part in the tests for the Frederic Vasseur-run F1 outfit. Schumacher has been linked to the Alfa Romeo outfit for a long time. To begin with, he is part of the Ferrari Young Driver programme. Then there's the fact that the Alfa Romeo team is the Ferrari 'B' team, or satellite team, if you will. Also, in February this year, Vasseur stated that Schumacher was certainly in with a strong chance of earning a test session with the team at some point. No further details are known in terms of whether or not Schumacher will share the cockpit of the Alfa Romeo C38 with another driver or not. However, given that he has won the 2018 FIA Formula 3 European Championship, he has the requisite points for an FIA Super Licence. Last February, the then Ferrari team principal, Maurizio Arrivabene said, "the door of Maranello is always open" for Mick Schumacher.